When my husband decided to open up a furniture store in Portland, ME, he found a big old garage in Fore Street. After spending a month with scrubbing, painting and cutting new panes for each of the high windows, he turned the dark and dirty place into a beautiful, light space, to showcase his contemporary furnishings. 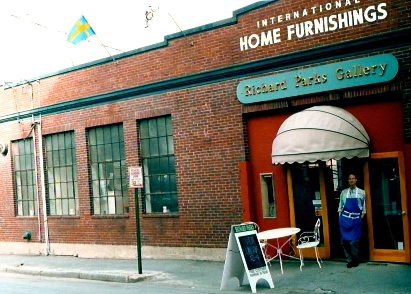 Eventually Richard Parks Gallery moved to Commercial Street, and the first floor of the old store became Fore Street Restaurant, one of Portland's foodie temples. The souterrain was turned into a bakery, and, instead of housing French sofas and bistro tables, it's now home of Standard Baking Co., maker of the best French breads and pastries in Maine! Whenever we visit Portland, we get Pain au Levain, Seeded Fougasse, Croissants, or, on Fridays, Rugalachs. 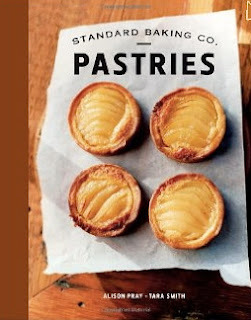 Last time we came into the bakery, I saw a pile of books: Standard Baking Company had published "Pastries" with many of their recipes, including those of the croissants and rugalachs we were just about to buy. Of course I didn't hesitate one second, grabbed one of the little books, and, while driving home and munching on a walnut filled rugalach, studied the recipes. Though I bake (and sell) lots of breads, I have little experience with French baking, and couldn't wait to try making one of those mouthwatering pastries myself. Croissants, with their multi-layered, buttery dough, are the gold standard of pastry baking. I had made them only once before. Those had turned out quite nice, and I was curious how the Standard Baking ones would compare to them. I found the formula easy to follow, with clear, detailed instructions and explanations for every step of the way. Involved as the process is, it's not rocket science, and you really can do it at home! You have to plan ahead, though, because you'll achieve your best results when you allow the dough sufficient time to rest. As with most of my breads, time and the refrigerator are your friends, achieving three important goals: relax the gluten (readying the dough for the next turn), keep the butter cold (preventing it from seeping out) and develop the taste. And if you have leftovers, recycle them into utterly delicious Almond Croissants! For the dough, whisk together flour, yeast, sugar and salt in a large bowl. Using your fingertips, rub butter into dry ingredients until it is evenly distributed and coated with flour mixture. Using a stand mixer with dough hook: Combine water and milk in mixer bowl. Add dry ingredients on low speed and incorporate for 3 minutes, scraping down sides of bowl as needed. Place dough in lightly oiled container, turn around to coat with oil, cover, and let rise in a warm spot (ideally 75ºF) for about 1 hour, or until it has grown by about half. And now the fun starts: you are about to create something absolutely wonderful, a tender, buttery, multi-layered (laminated) croissant dough. Room temperature and work surface should be on the cool side, and each step should be done as quickly as possible, to prevent dough and butter from getting warm. Put everything you need (flour for dusting the work surface, roller pin, brush for excess flour, and ruler for measuring) within easy reach. The butter square covers half of the dough rectangle. If the chilled butter feels too firm, take it out of the fridge a few minutes before using. Dust work surface lightly with flour. Remove dough and butter block from refrigerator. Roll dough into rectangle twice the size of the butter square: 12 x 6 inches. Brush off excess flour from top of dough. Place butter square (unwrapped) on one half of rectangle, so that edges are neatly stacked. Fold other half of dough over butter, and press open sides together to seal butter in. Lightly re-flour work surface, if necessary, and roll out dough rectangle into a square, about 1/2-inch thick and twice as long as it is wide (the long side should be facing you.) Brush dough surface to remove loose flour. 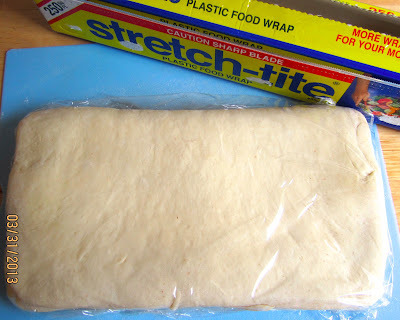 Wrap the dough "envelope" in plastic wrap and refrigerate it for 45 - 60 minutes, so that you and the gluten can relax and cool down. In the meantime, clean your work surface from any remaining bits of dough, and dust it again lightly with flour. Unwrap cooled dough and place it on work surface, the long, folded side facing you. 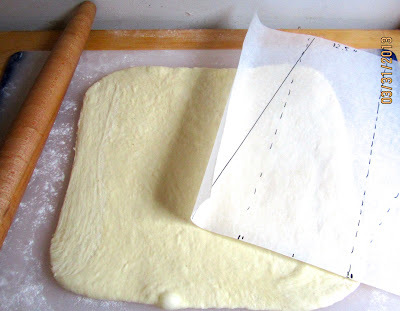 Roll out dough as before into a 1/2-inch thick rectangle. Fold it again in thirds, always brushing off excess flour between folds. The second turn is done! Re-wrap and re-chill dough again for 45 - 60 minutes. Now you're already a pro, and know how to handle the third and final turn. Unwrap, roll out, fold, and use the brush in between! You don't want flour to keep the layers from adhering. TO MAKE AHEAD: You can also freeze the dough up to 10 days, thawing it in the fridge overnight before baking. Line 2 baking sheets with parchment paper. On a lightly floured work surface, roll dough into 12-inch x 25-inch rectangle (1/4 inch thick.) Re-dust with a little flour, if needed, to prevent sticking. If dough springs back and is difficult to lengthen, let it rest a few minutes, before you continue. When desired length is reached, trim and straighten narrow ends with pizza wheel or chef's knife. Leftover dough scraps: Place cut off half-triangles from both edges side by side, pinch the middle seam together, put any other small scraps on top, and roll this patchwork triangle up, too. It will be a little "malfatti" (badly made) as my half Italian spouse calls it, but nothing of your precious dough will be lost. Put shaped croissants on prepared baking sheets, evenly spaced, the tips should be tucked underneath. The croissants need to proof for about 1 1/2 to 2 hours. Place baking sheets in the (unheated!) oven, then put a pan with hot, steaming water on the bottom to provide the ideal rising environment: humid, to prevent a skin from forming, and warm, but not too warm - you don't want the butter to melt, resulting in less flaky, greasy croissants. Half an hour before baking, remove proofing croissants from oven. Position racks in upper and lower thirds, and preheat oven to 430º F.
Bake croissants for 10 minutes, then quickly rotate baking sheets from top to bottom and from front to back, for more even browning, taking care not to leave the door open too long. Continue baking for another 4 - 6 minutes, until they are evenly baked, with deeply browned, crisp edges. Remove sheets from oven, and transfer croissants to wire rack, to cool a bit. They are best when eaten while still warm, or shortly after baking. If you cant eat all of the croissants right away, you can wrap them individually in plastic wrap, and re-crisp them at 375ºF for a few minutes. OR YOU TURN THEM INTO HEAVENLY ALMOND CROISSANTS! There is no such thing as stale croissants when you recycle them into these! Can't wait to try this in our 94 F kitchen. 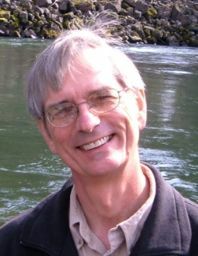 Now that it is May I suppose we could cool it down to 78 F and give it a go :-) OR...wait till next winter. Well, DBM, those are the perks of living in cool Maine. Though I think if you work fast, and give the dough some more cool breaks, it might be doable. Or you just come to Maine! Beautiful croissants, great post. Cold process, resting a lot along the way; the 2 secrets. Yes, and you have more freedom to time the actual baking. That's the right shade of golden brown buttery heaven that I love to savor! Thanks, Mini, I think the double application of egg wash must have made a diffence. You make it look easy! These look delicious - especially the almond ones. Nice to know that the book didn't hold any secrets back. Thanks for the post and the step by step process for these croissants! Though all those steps are necessary, fortunately each of them is not too difficult if you follow the instructions. I will post the almond croissant variation, too. I always had croissants on my wish list, but thought they were too complicated. The one time I tried them before, with another recipe, they didn't turn out half so good, and I made some mistakes because I couldn't quite understand what was meant. is one of my favorite places. The old port reminds me of my hometown Hamburg, on a smaller scale, and there is always something interesting going on. Great post! Mind if I feature on the homepage for a bit? I will be honored, Floyd! I do like the new look of TFL. Light, airy, and translucent - a feast for the eyes - what more could be desired? This is surely an omen - the butter wants a transformation to transcend its humble existence! Yum Karin, beautiful, and buttery. Nice explanation of the procedure, Karin.. thank you so much. But in a good way, and who thinks about calories when confronted with a freshly baked croissant? Thanks for asking Karin, yes much improved now. And a very good write-up. wonderful post Karin. the end result looks fantastic. My wife and I took a course recently on making croissants but have not had the time yet to try them myself. It is a bit of an effort to make croissants, and can't be a spontaneous decision. But it's so worth it! Thanks for this post, Karin. Thanks for this post, Karin. The photos of your creations and the well explained process tempts me even though I know there is a rare chance I will manage to do it. The almond croissants are just drool worthy! Thanks, Alpana, I will post the almond croissant version, too, when I'm home from my trip. I didn't want to make the post too long. I'm going th have to try these! Dwayne, you won't regret it! I appreciate your post and have to try it your way. I love Croissant w/ham and cheese, heck I like croissants as a BLT, or just a croissant with coffee). I always pound my butter with a rolling pin, and three days worth butter gets old. And if not extremely careful with it, its absorbs the fridge odors. You hang a tag and dare anyone to use the fridge. I have got to try using the blender! Croissants might be removed from the special event only list! When I made croissants the first time, from another recipe, I pounded the butter with a roller pin, too. But beating it in a mixer is so much easier and faster, and the butter stays cold. Layer confusion is a serious thing! I recommend ingesting a large amount of laminated pastry, to overcome this horrible disease! On Saturday I ingested several Croissants with 1 X 4 X 4 = 16 layers and Pain Au Chocolat with 1 X 4 X 4 X 3 = 48 Layers. This didn't help much, as the symptoms have returned. But 48 has been ruled out. I know, it's a stubborn disease, once you contract it it's hard to overcome! The book is my current favorite pastry baking book. After having some mediocre croissants during our trip to Hamburg I really appreciated the quality of these again. Beautifful croissants! And a beautiful pictoral display of the process along with the recipe. Bon appetit! I tried to make it as easily understandable as possible. Butter and me have recently renewed our vows. Haha, nothing better. You cannot always think of healthy, skinny stuff, and traveling through Saxony, I renewed my vows to cakes, too. They have a specialty cake here, called "Dresdner Eierschecke", which I will make and post about when I get home, including some nice photos of magnificent Dresden. Lauretta, I'm not sure whether you can substitute the sugar in the croissants with stevia. From what I read, stevia is not recommended in recipes where not only the sweetness, but also the volume of the sugar plays a role, as in cakes. The croissants have 50 g of sugar, therefore it might be that a substitution with stevia would affect the structure, too. I just got the first batch out of the oven. Karin, the recipe and instructions are superb. The results are delectible. There is no other way to describe them. Oh, I had a helluva time shaping them, BUT I made two batchs of the dough and all the lessons I leared from this one will be put to good use tomorro in shaping the second batch. I cannot thank you enough for posting this. I am jazzed. The instructions in the book are very good already, and I added my insights from my first struggles (with another recipe.) What seems so easy to a pastry chef, can be really frustrating for an amateur, and I felt often discouraged from even trying to make croissants, when I read some other formulas, written in professional "bakers' lingo". Karin, like always, awesome post. Now I can see what brought you to the states. Thanks for the great instructions on your croissants. I make my "waterdough" / aka envelope dough less complicated and keep it only 30 minutes in the fridge. But now my real question. I am taking 5 turns for my pastry when i am making my pastry... did you every try it? I remember my grandma did it this way, she even poked some dots in the dough to always remember how many turns. No, I never tried 5 turns, the croissants from another recipe I used before, also had 4 turns, but the result was not quite as good. I also made some simpler hand held berry pies with butter pieces cut in, and only 2 turns, and that crust, also, was very nice and flaky. "Due to increasing gluten formation, the dough becomes more difficult to roll with every turn, so we were relieved to find that three turns was sufficient to yield a light pastry made up of hundreds of delicate layers." They also recommended European style butter with slightly more fat content than American (82% versus 80%). Thanks for posting Karin. Those croissant look delicious. Sounds like a book I'd like to have. Do you think they accept mail order? I'm curious about how you turned the leftovers into almond croissant? Can you explain, please? The book is really worth the money. You can get it at Amazon, Barnes & Nobles, and other retailers, you don't have to buy it directly from the bakery. The almond croissants are absolutely to die for, I'll add the recipe to this post, soon as I have time. I shall try this and start on them on friday so we have them for Sunday. your post, Petra. I hope your croissants turned out nice!